Eight hours after leaving the office in NYC, I had arrived to Pittsburgh around midnight. I was there visiting João, a friend of mine who is a Portuguese PhD student at Carnegie Mellon University. In my first two months in New York, this was the first time I had left it. 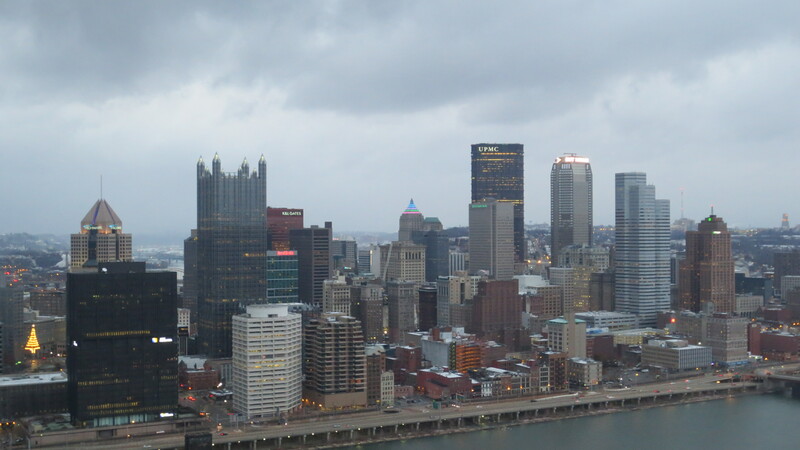 And although I had not much expectations, Pittsburgh turned out to be a very interesting city for a quick 3-day visit. It is particularly a very cinematographic city. 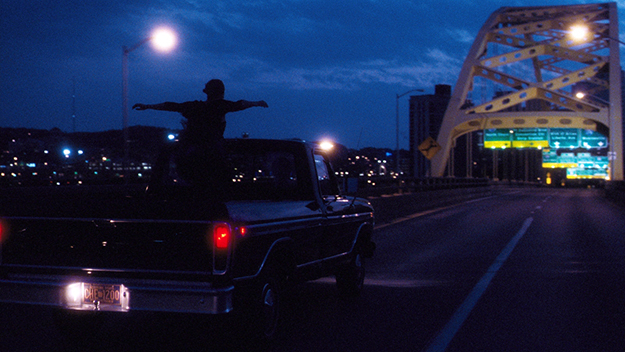 Recently, movies like “The Perks of Being a Wallflower” or “The Dark Knight Rises“, testify that. It is also considered to be one of the best places for elderly people to retire. It turns out to be that Pittsburgh is not that expensive and offers a series of interesting cultural opportunities as well as good health services. Just like Detroit in the post-sub-prime crisis in the 2008, in the 1980s the city declined as result of desindustrialization. Nevertheless it has revived so much that it is also known as “the most livable city in America”. Surrounded by many bridges, the city that I saw could be pretty much divided in what is “downtown”, the “campus” and the “suburbs”. And everything is very much close. A truly remarkable building is the Cathedral of Learning. This Gothic-styled tower is the tallest educational building in the Western Hemisphere and the experience of being inside it is something very rare to experience. You enter through bronze and glass revolving doors to find yourself in the Commons Room. If it weren’t for the tables with students working on their macs, you would not say that this was a studying room. It much more resembles a sacred space. Me, João, Hugo and Luís went all the way up to the 36th floor to see the view. I was still amazed by the idea of classrooms functioning so above the ground floor and I couldn’t figure out how this fact could affect the way a student develops her/his work in such a place. Nonetheless, the city’s educational epicenter is surely the Carnegie Mellon University campus. Here one can see a display of old and new buildings, being the Hunt Library the one that impressed me the most with it’s very regular metal and glass facade. But you can also see brutalist examples as well as – let’s say – more contemporary architecture like the “Gates Center for Computer Science” where I was told you can write with markers pretty much in any surface (table, window-glasses, walls, etc.). Finally I would have to mention the inclines. There is something about going up a hill and looking around at the city that fascinates people (Portuguese especially understand this well). And Pittsburgh does offer that opportunity. The one we visited was the Duquesne. In that really cold day (I think I never felt so cold in my life) getting inside this wooden red funicular was really warming. It kind of felt you were entering a time-machine. Once at the top you have and information section that tells you all about the structure. The view you get from up there is amazing, But the trip, although very short, is something that will stay around in your mind. And that is the whole purpose of visiting places, isn’t it? That you you enjoy the trip while going up and you don’t focus on the view you will have from up there. These little moments shape up your life. Pittsburgh sure did to me.